Make the most of your game and play ball year-round at Finch Creek Fieldhouse! 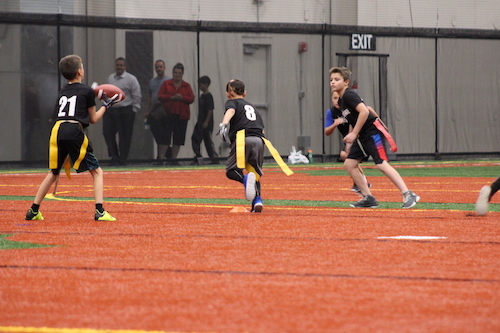 With approximately 75,000 square feet of indoor turf, your community facility is here to give you the best indoor space to play and train in the area. Throughout the year, there will be baseball training groups, clinics, camps, individual lessons, leagues, games, player showcase events and much more at Finch Creek! Basketball is better than ever at Finch Creek Fieldhouse! With plenty of training camps and teams to join, these indoor courts are home to hundreds of young athletes. Whether you just play for fun or thrive on competition—Finch Creek Fieldhouse is the place for you! Indiana Girls Basketball was established in 2017, quickly becoming the best program for girls in the state. Our program is designed specifically for girls basketball, and the skills needed to be successful. Our program has built a year-round model for every ability level to help players live their dream. Our highly qualified coaching staff provides an amazing resource for players to learn and grow. The motivational and inclusive culture of self improvement on and off the court sets IGB apart! Come see what makes us different! There’s no “quit” at Finch Creek Fieldhouse. If football players want to give 110%, they’ll have a blast on our 75,000 square feet of turf. Whether you want to play for fun or you’ve got a more competitive edge, this new facility is ready to host your game. See below for football programming at the facility. Indy LaxAcademy, in partnership with Finch Creek Fieldhouse, is focused on improving the lacrosse skills, techniques and acumen of youth and HS-age boys in the state of Indiana. 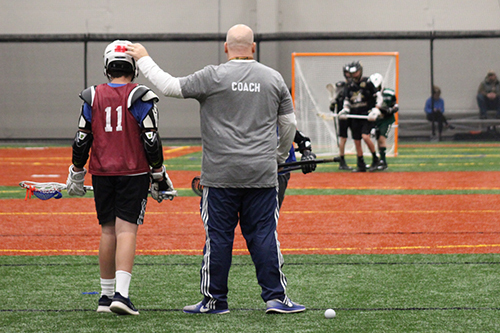 Through a series of camps, weekly clinics, indoor leagues and team tournaments, players will experience an enhanced level of training & “fun” that will substantially advance their skills and love for the game of lacrosse. 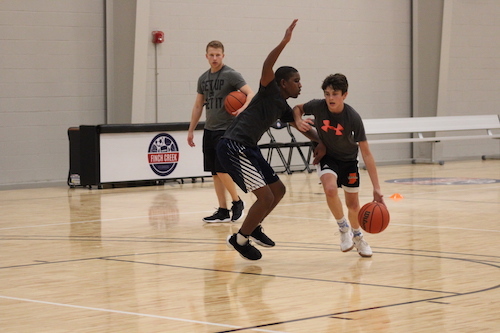 Our proven teaching methods keep players in age-appropriate groups featuring a high level of personal attention from a highly knowledgeable staff. Players of all ages will be exposed to teaching techniques and curriculum used by some of the nation’s leading clubs, high schools and collegiate lacrosse programs. Finch Creek Little Laxers, powered by Indy Lacrosse Club, is a great introduction to lacrosse! This is a co-ed program for kids ages 3-7 years old with a goal to introduce the game of lacrosse and teach the basic skills of scooping, throwing and catching in a fun environment while also fostering a passion for the game. The mission at Indy Lacrosse Club is to provide access to lacrosse for anyone to learn in a structured & fun environment and we hope you will join us! Finch Creek Fieldhouse is excited to offer our community a place to play one of the world’s fastest growing sports! Pickleball is a 2 to 4 player game that combines elements of badminton, tennis and table-tennis. We are offering open play sessions most days of the week. And FREE Pickleball 101 classes for the rest of the year! Athletes love the freedom and all-star treatment they get at Finch Creek Fieldhouse. 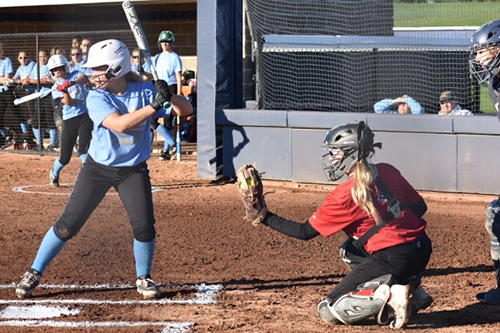 Fast-pitch softball players come here to make the most of their game. 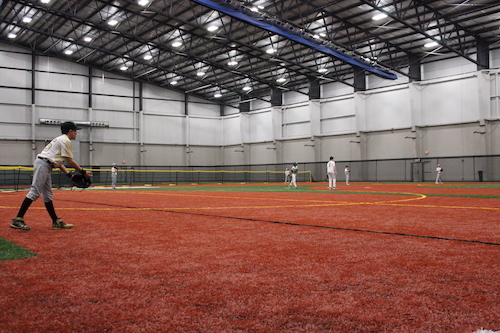 Your fieldhouse has 75,000 square feet of turf, plus 11 batting cages waiting for big hitters. Work to perfect your swing with friends, then unwind at the mezzanine. It’s easy to spend the whole day here, focused on your sport! Practicing soccer skills and footwork is always better with friends—but it’s even greater at Finch Creek Fieldhouse. The multi-sport, indoor facility is like a second home to soccer players and families in the greater Fishers and Noblesville areas. Join in the fieldhouse action!